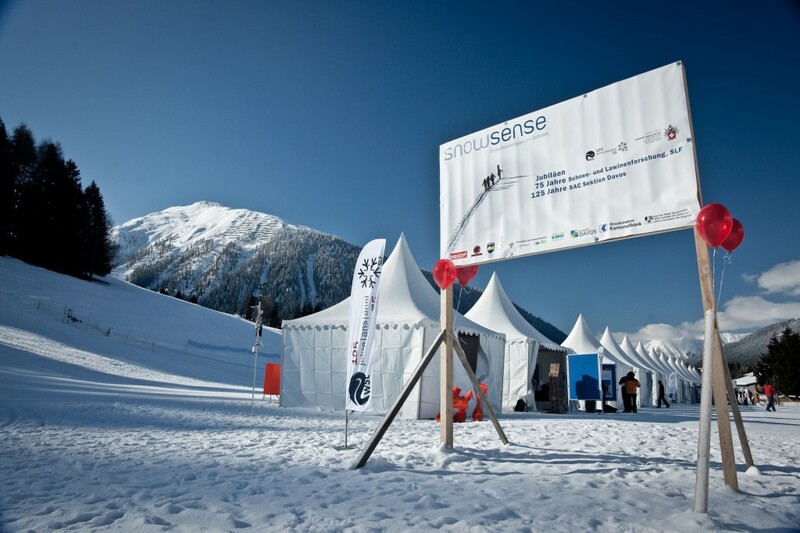 On march 20 we finally presented our final prototype of SnowSense at the anniversary of both the Swiss Alpine Club Davos and the WSL Institute for Snow and Avalanche Research. 12 teams with around 50 skiers went into the backcountry equipped with IPhones and our SnowSense application. 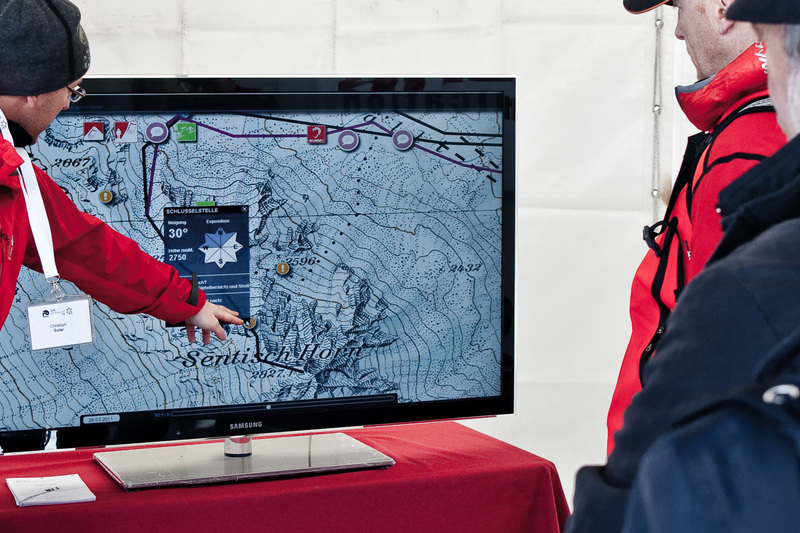 Each team prepared the selected tour before at home using our map based web platform in order to define the route to ascend and ski. Difficult passages were spotted as „key passages“ and their altitude, hill slope and exposition were checked before leaving into the field. Together with the expected weather and snow data the planned trip was uploaded to their smartphones in order to check the real conditions in the field. Each SnowSense user was tracked by the GPS and his or her position was sent to the system . Together with a number of feedback about the snow conditions and photographs all messages and tracks have been visualized on our big screen down at the valley. 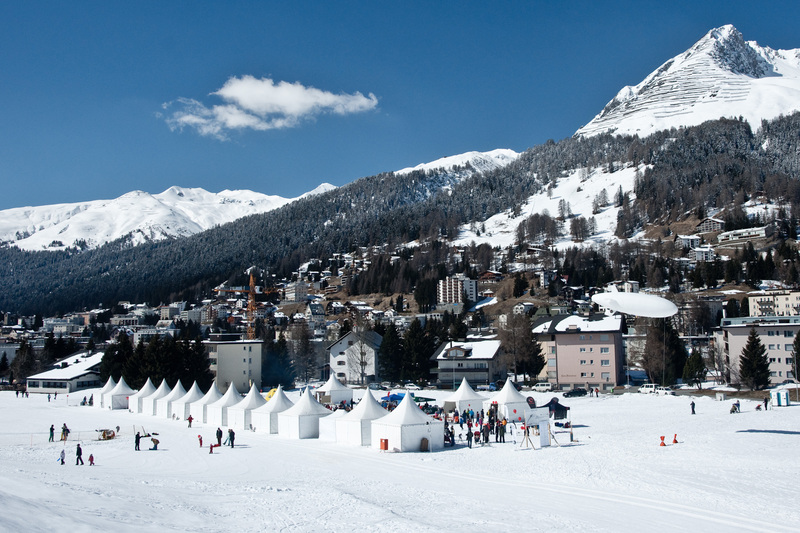 Around 1400 people visited us that sunny winter day and all of our skiers came back save and sound. Thanks to all folks who have been involved into our project and the enormous preparation for the SnowSense event! !